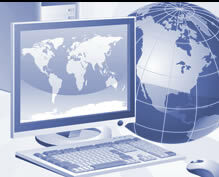 My organization has used the services of AMB Web Design for the last several years. Arlene has always been very helpful and creative in managing my organization's web site. When it needs to be updated several times monthly, the new data is quickly posted. If I send data with typos or bad links she will automatically source the correct information, make the corrections and report back to me in a timely manner. I feel we are getting the best return on investment using AMB Web Design and it is a pleasure to work with Arlene. I have been doing business with Arlene of AMB Web Design for two years. I find her to be honest, professional, reasonable priced, and knowledgeable. I would recommend her to anyone or any company needing her services. Arlene is the best! When I call to make quick changes to my web side she does it immediately. She tells me to stay on the line and let me get to your web page and it’s done. She fixed, added and/or removed what I needed in a minute. I never met any web site designer who do that. She always answers the phone and if you leave a message she calls back quickly. A friend said AMB web design specialized in working with small businesses. After reviewing the references, looking at several web sites Arlene created and speaking with a couple of her clients, I made an appointment. From the first meeting I knew she was knowledgeable, professional and that customer satisfaction was her goal. Thank you Arlene, for your patience and your hard work, I look forward to a continuing relationship with AMB web design. I would like to compliment Ms. Arlene Bell of AMB Web Design for all her hard work on various websites which she has created for me over the past few years. Ms. Bell is the most cooperative web developer I have ever met. I would highly recommend Ms. Bell to help develop and support your websites. Her dedication and integrity are above reproach. Arlene did a terrific job on my website and I've had many compliments as a result. She is reasonable, on time and easy to work with. I highly recommend her. Working with Arlene was not only fun, but educational. She was extremely patient, which was a blessing, given that I had no working knowledge of what it takes to design and get a website up and running. I really appreciated her expertise and pleasant nature and would highly recommend her to everyone I know. I want to personally THANK YOU for all your hard work, professionalism, and dedication to my company’s website. You listened to my needs/wants, gave suggestions and made my site amazing. Have you ever heard the cliché, “It’s the little things that count?” Well, AMB Web Design LLC did all the little things along with the big things to make my experience stress-free, enjoyable, and overly satisfied. I will recommend AMB Web Design LLC to my business associates, clients, friends, and family. Thank you again for putting together such a wonderful website that will allow my business to grow rapidly!! As the Administrator of Desert Pediatrics, and a Registered Nurse for 40 years, I pride myself on having melded by medical experience with myself taught business skills, into running a successful pediatric practice. Where I am severely lacking, is in all things technical. Arlene Bell, owner of AMB Web Design LLC, came to my rescue a few years back when we joined the rest of the world and created a website for our company. Arlene helped us with the initial design and setup, explaining the whys and hows of building a site that would appeal to the largest crowd and get the most recognition. She helped us set up our web hosting account and continues to make sure we stay current. We try not to make too many changes to the site, but obviously, things come up that require Arlene's help. She is always responsive to our requests and completes the tasks in a very timely manner. I would absolutely recommend AfIIlB Web Design to help your company with all your web design needs. I wanted to take the time to thank you and show my appreciation for the design of the Bug Doctor, Inc. website. It is always a pleasure to work with you to understand the details of such a task. Your attention to detail and suggestions made the process easy and allowed us to focus on our business while leaving the website in your capable hands. AMB Web Design has really made the difference between a good website and a great website. Thank you for all of your expertise in the field and for giving Bug Doctor, Inc. a new way to reach our customers. Arlene redesigned the web site for IZON Investigations, and I feel fortunate to have found her for the project. She was very professional, efficient and most importantly, was able to explain ideas, suggestions and thoughts about the redesign in terms I could understand. She was also very responsive and willing to try different approaches during the redesign. I would highly recommend AMB Web Design to anyone looking to create a web site or to improve an existing site. Arlene was not only very creative but also, cost effective. When I was looking for a web designer I went to the internet for one here in Las Vegas; after looking at a number of sites and what they offered; the one thing that kept me coming back to Arlene and AMB Web Design was what she had done for other businesses like mine, so I called a couple of her clients who’s sites looked similar to what I wanted, and they had such good things to say about her and what she had done for them that it convinced me to go with her. She has done a great job on my site, and has helped me to do it correctly, and in a way that saved me money. I highly recommend AMB Web Design to anyone looking to set up a site. I wanted to thank you so much for making my web site so beautiful, fun and easy to use for my costumers!! You were a pleasure to work with and had many creative ideas which come through in my new site. I felt very comfortable emailing/chatting over the phone with you changes and ideas that I had, but had no idea how to make them come true. You did that,almost reading my mind!! Thank you again for making this experience so positive. I want to thank AMB Web Design and specifically Arlene for the extremely professional web site she created for my new business venture. Save The Bottles looks like a BIG company instead of a little home-based business. I have known Arlene for several years but not as a web designer. I'm totally thrilled now that I also know her in this capacity too!! She exceeded my expectations with her creativity, ideas, suggestions and overall knowledge of "the right thing to do." I had the opportunity to watch Arlene in action as she worked magic with my web site. A shopping cart seemed to appear before my eyes. Bottom line, if you're looking for a great web designer ... Arlene is the one for you!! It is with great pleasure that I am writing this letter recommending you and your company. I just want everyone to know that working with you was very easy. You quickly understood what our goals were for our company, and how to express them through our website. I found Arlene always available and in record time our new website was up and running. I have already had a positive response from my customers. Again thank you for your excellent work.